We’re a diehard bunch when it comes to baseball, and softball, too, as we have a world series of softball player on our marketing team. 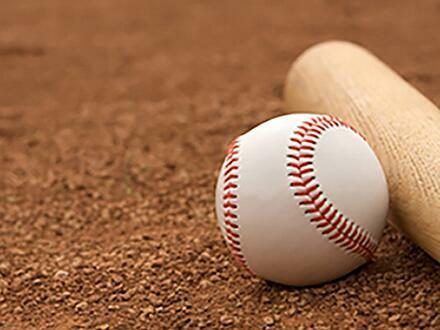 We love everything about baseball – talking about the players, the drama, the start of great weather, the food, and our favorite part - our baseball infield products! We absolutely love to see our BallGame Changer infield conditioner and our Play Ball! infield conditioner, mound clay and drying agents in action on those MLB, minor league, college and high school baseball and softball infields. These products comprise the complete line of our Groundskeeper’s Choice 100% natural, high-performance super calcined clay solutions for baseball and softball fields. Play Ball! absorbs up to twice as much water by weight as most other conditioners. It's extremely stable and resists crushing underfoot so it won't turn to dust or mud. Play Ball! handles the toughest duty and lasts for many years. These specially designed products have been successfully performance-tested at major league, minor league, college, and high school fields around the U.S. with excellent results. BallGame Changer and the Play Ball! products keep your infields safe with better traction, and your infield remains more playable because they do a great job of controlling moisture,” said EP Minerals’ Vice President of Performance Aggregates, Jeff Kitchens. Play Ball! comes in a drying agent, mound clay, and conditioner. All of the Groundskeeper’s Choice infield products are designed to last longer, reduce dust and water usage, and provide better traction for safer playability. Batter up! Hope your infields look and perform great and that your team has a terrific opening day!